If my television weren’t expensive, Digimon: Cyber Sleuth would make me hit it as well. This game is killing me. And while the nostalgia hits me at 1,000, sometimes, it is just so incredibly painful to play. I suppose I should back up a bit and tell you how my experience with Digimon Story: Cyber Sleuth has led me to this conclusion. I’ve been playing this game, on and off, for a couple of months, and I’m not saying Digimon: Cyber Sleuth is a bad game. It’s actually really good. However, a few minor inconveniences taint the experience. I should start by going through some of the game’s good points. It’s a terrific old-school RPG, harkening back to the original Digimon games back on the PS1, making it pretty easy to grasp and play. The digivolution system is the best part of the game. 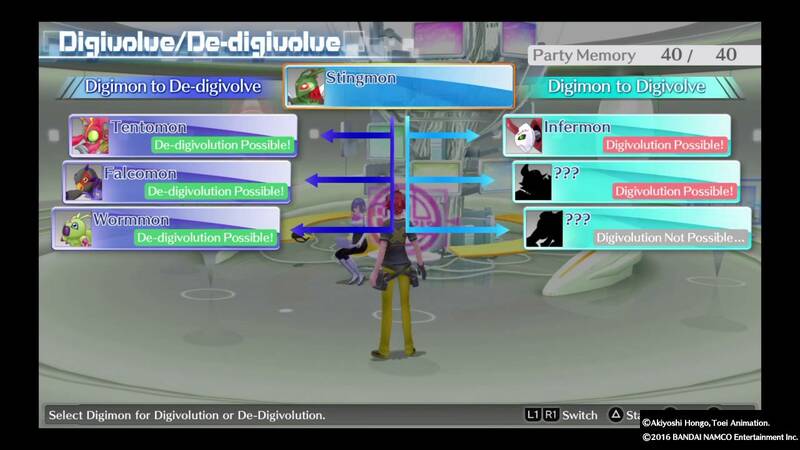 Another fun aspect of the game involves its digivolution system, which is something I felt sets the game apart from being yet another Pokémon clone. 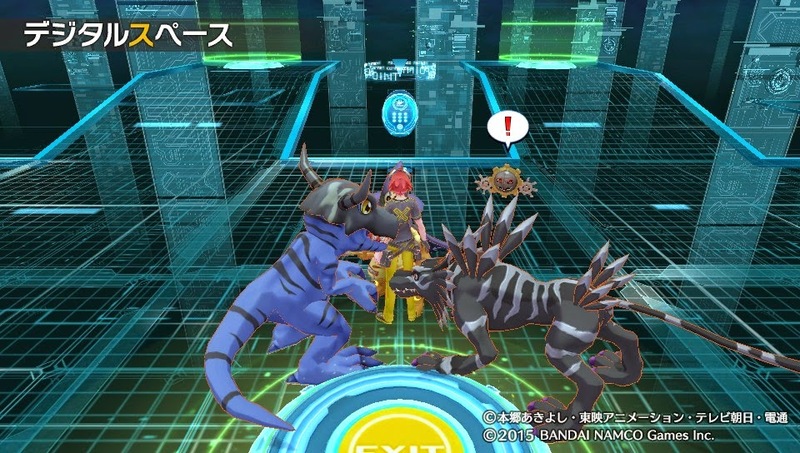 While it borrows some elements of the popular pocket monster’s series, like its rock-paper-scissors fighting mechanics, the game encourages players to experiment with the different types of Digimon they can create. Every Digimon can digivolve into a tree of new monsters, making the possibilities seem endless. If you choose to digivolve on Digimon, you are not limited to that choice. Simply bring them back to their previous form (which actually gives you a stats bonus) and try something new. It’s a Digimon lovers dream. When it comes to the concept, Cyber Sleuth completely nails it. However, there are huge flaws in the game’s design. And I wouldn’t talk about them if they did not distract from the experience as a whole. My first grievance is minor, but nonetheless still annoying. This game commits a cardinal gaming sin: unskippable cutscenes. What makes it worse is that the cutscenes are slow and downright unbearable, especially when you have to go through the same one a second time. The game’s dungeons are incredibly short. While that is pretty bad, my second grievance is where my inner game designer screams out. The dungeons are too short. In some missions it took me no more than three levels before I reached a boss, leaving me totally unprepared. I found myself running around the same area of a dungeon for two hours just trying to level grind. To make matters worse, your Digimon are constantly in a state of flux as you change their forms, putting them at level one and forcing you to level grind again in such a small area. While I understand this game was created for the PS Vita, it fails to give you a natural form of progression. This is not a deal breaker. I will still continue to play Digimon Story: Cyber Sleuth for the fun of discovering what new and exciting Digimon I can create. However, this game is going to be a slow burn.